By using this website, you agree to comply with and be bound by the following terms and conditions which govern Stewart-Buchanan Gauges Ltd’s relationship with you in relation to this website. 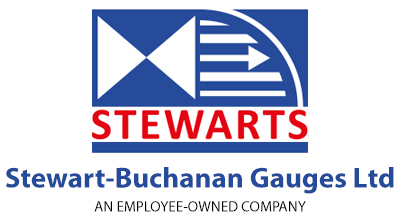 The term “Stewart-Buchanan Gauges Ltd” or “us” or “we” refers to the owner of this website. Its registered office is Burnside Industrial Estate, Kilsyth, Glasgow, G65 9JX and registration number is SC021724. The term “you” refers to the user or viewer of this website. Any information or materials found on this website are used entirely at your own risk. It is your responsibility to ensure that any products, services or information available through this website meet your specific requirements.This website contains material which is owned by, or licensed to us. This material includes, but is not limited to, the design, layout, look, appearance and graphics. Any reproduction of these materials is prohibited. Any dispute arising out of the use of this website is subject to the laws of Scotland. You may request details of personal information which we hold about you under the Data Protection Act 1998. A small administration fee will be payable upon application. If you would like a copy of the information held on you please write to Stewart-Buchanan Gauges Ltd, Burnside Industrial Estate, Kilsyth, Glasgow, G65 9JX. If you believe that any information we are holding on you is incorrect, or incomplete, please write to us as at the above address. We will promptly correct any information found to be inaccurate. This policy is effective from 22nd February 2011.